Your GP may refer your child to the CDC for a number of reasons. A few examples are atypical development, behavioural concerns including possible autism or attention deficit hyperactivity disorder, delayed toileting or a looked after child requiring a statutory medical,. Diagnostic audiological procedures and rehabilitative care for children of all ages are provided. This includes age appropriate testing techniques, advice regarding hearing loss, referral to other agencies and when necessary comprehensive digital hearing aid fitting. We work closely with our medical colleagues in the ear, nose and throat department, and the advisory teachers of the hearing impaired. The CCN team based at Bircham House provide care for any child with short or long term health needs such as diabetes, cystic fibrosis, complex disability and home ventilation to name just a few requiring nursing support in the home. The children that we support cover the whole age range from 0 – 19 years. The team work closely with many outside agencies to ensure the provision of care is appropriate for each child and family for example undertaking assessments for continuing health care packages, respite provision and providing training and liaison with schools. Many of the children will stay within the team for many years before transitioning into the adult services. Others will be supported through palliative care and ultimately end of life. We are also currently hosting a pilot (PACOT) providing support for children and their families with short term acute conditions. The continence team provides advice and support for children and young people aged 2-16 years. We assess children from 2 years onwards with bowel problems and from 4 years with urinary problems. We have a team of doctors based at the CDC and visiting consultants hold specialist clinics. There are general outpatient clinics for atypical development as well as specialised clinics in, genetics, neurology, ophthalmology, ear nose & throat, dietetics, podiatry and orthotics. There is a multi-disciplinary and multi-agency service for children with conditions such as autism, ADHD and Downs Syndrome. 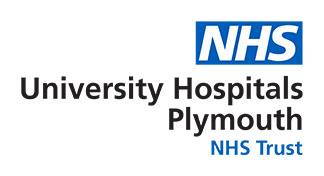 Our doctors also visit all the special schools in Plymouth. Looked after children may attend the CDC for a statutory medical or an adoption medical if requested by social care. A wide range of psychological difficulties may be dealt with, including anxiety, depression, relationship problems, learning disabilities, behaviour problems, and child and family problems. To assess a child, a clinical psychologist may undertake a clinical assessment using a variety of methods including psychometric tests, interviews and direct observation of behaviour. Assessment may lead to therapy, counselling or advice. The SAL therapist provides an assessment and intervention service for children under 5 with complex language and communication difficulties. Specific consultation is provided to staff within the Scott Specialist Assessment Group to provide support to children who attend. Support for th acute service in video fluoroscopy and other areas is provided at Derriford Hospital. We provide assessment pathways for children and young people who may have autism. For children who have not yet reached school age this is carried out through attendance at our specialist nursery, and for young people who have started school this will involve meeting with our assessment team. For children who have a learning disability we can liaise with other agencies and our colleagues at Derriford .